Recently I received my first rejection letter for my wuxia fantasy novel Blood and Honor (original title: Tortoise Navigating Water). A title change was suggested so as to be more competitive in the US market. I still prefer my original title Tortoise Navigating Water because it fits the wuxia story better and compliments the sequel I’m currently writing. Contrary to reported feelings of rage and despair some writers have felt at such letters, I am quite happy to have received mine. Admittedly, I did feel a bit deflated, but as the agent offered equal measure of praise and rejection, and I’d mulled the whole experience over, I realized I was more terrified of sending the query out and equally wound up at receiving the response. For days after I’d sent the letter, I agonized over a plethora of what if’s. What if he offered to represent me, would he realize later that he’d made a mistake? What if my stories suddenly dried up? Oh dear me, I hope not. What if he asked me to produce more manuscripts? Drat, I’m working as fast as I can to produce others. Eventually all my tension-filled thinking threatened to leave me in a permanent state of migraine mania and I was forced to do something quick to combat the pressure-filled, monster headaches and save what little brain power I have left. I immersed myself in the process of planning, plotting, and writing the sequel to my first novel. Now that I have my first rejection under my belt, I can breathe and turn my attention to other pressing matters. For the time being the migraines have ceased and I’m in a place where I can write freely without the burden of what if’s. Presently, I’ve got to produce at least 50,000 quality words for my sequel. Meanwhile, I’m in the planning stages of another fantasy series. And recently I’ve even been asked to write a short story for an anthology. I’m still able to come up with story ideas, hurray! No one ever likes to be rejected whether it’s via email, snail mail, or heaven forbid, in person. But it is definitely a way of life and allows the rejected person to decide on what path to take afterwards. Me, I’ve always taken the road less travelled and I’ll continue to do so otherwise, I couldn’t have gotten to where I am today. This entry was posted in Midnight Hour, Musings and tagged agent, publishing, query letter. Bookmark the permalink. 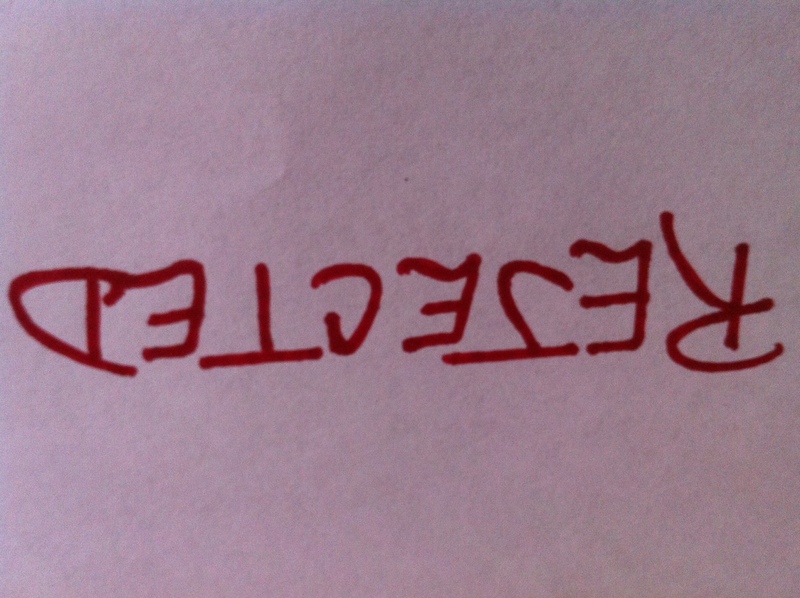 Hey, if you received a personal rejection letter on your first try out, that’s HUGE. Be elated. It means your writing is pretty close to the mark and as long as you find the right agent, you should be successful in gaining representation. Oh, that just makes me feel even better. Thanks.